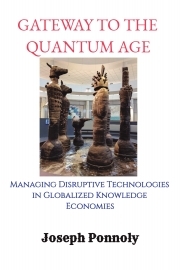 Description of "Gateway to the Quantum Age"
This book provides a deep insight into the knowledge-based economy and digital technology landscape of the quantum age, the emerging technologies that disrupt every business, industry, geography, and human life. Also points out the challenges of managing technology and the emerging cyberspace risks and threats. Reviews of "Gateway to the Quantum Age"